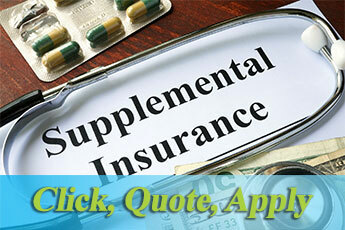 Medicare Supplemental Insurance or Medigap insurance? Skilled Nursing Facility Care (rehab unit) $165 per day (days 21-100) and 100% of cost beyond day 100. What’s covered by Medicare Parts A & B? As you can imagine, the costs of an extended hospital stay or skilled nursing facility can add up quickly. For example, 100 days in a skilled nursing facility can cost you $13,200! Also, most chemotherapy and radiation treatments are covered under Part B, requiring you to pick up the tab of 20% of these costs. Unfortunately, there is no stop-loss for your Part B expenses, leaving them as a potential unknown. To cover some or all of these expenses, you can buy Medicare supplemental insurance coverage from private insurance companies. There are 11 different standardized plans, labeled A – D, F, high-deductible F, G, and K – N. Plans C & F are also available as Select plans. Plans C & F cover 100% the expenses that Medicare doesn’t, as long as they are Medicare-covered services. The other plans offer different levels of coverage and usually satisfy everyone’s needs and budget. They allow you to see any doctor or hospital as long as they are set up in the Medicare system. Select plans C & F require you to use a hospital from the “select” list for non-emergency services. People like them because they are easy to use with virtually no paperwork. Also, they typically move with you if you are thinking of retiring in a different area. Even though Medicare typically doesn’t cover you outside the country, some plans will include a foreign travel emergency benefit. These plans are sold year-round, but some restrictions may apply. Medicare requires the insurance companies to accept you with no underwriting within six months of your 65th birthday. Because outpatient prescription drug coverage is not covered by a Medicare supplemental insurance plan, you will want to purchase a plan separately. Some people may be eligible for drug coverage through the VA. 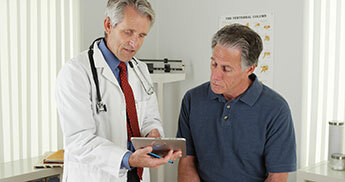 Which is better: Medicare Supplemental Plan or Medicare Advantage Plan? A Medicare Advantage Plan can be great for someone that doesn’t use many medical services as you only pay for the services you receive. Many plans can be had for as little as $0 monthly premium. However, all plans (with the exception of PFFS plans which are not very popular anymore) have networks, so to get the lowest costs, you will want to use in-network doctors/facilities. HMO’s always require you to use in-network providers, except in the case of a life-threatening medical emergency. Also, many services require prior authorization, and many HMO’s require referrals to see specialty doctors. But, they do come with extra benefits you don’t get from Medicare or a Supplement, like fitness club memberships, vision, hearing, etc. The good news is that you can try an Advantage plan for a one-year trial and if you don’t like it, Medicare will allow you to enroll in, or back into, a Medicare Supplement plan anytime during the one-year period – no questions asked. But it must be your first time on an Advantage plan, and there may be exceptions to this. Our customer service doesn’t stop when your policy arrives in the mail. We’re there for you year after year because as your needs change, so too should your Medicare Supplemental Insurance Plans. We have met so many wonderful people in this community, and we look forward to meeting with you. Contact us today by completing our easy online request form or for the quickest response please call (239) 201-4560. Give us the opportunity to work for you-you’ll be glad you did!